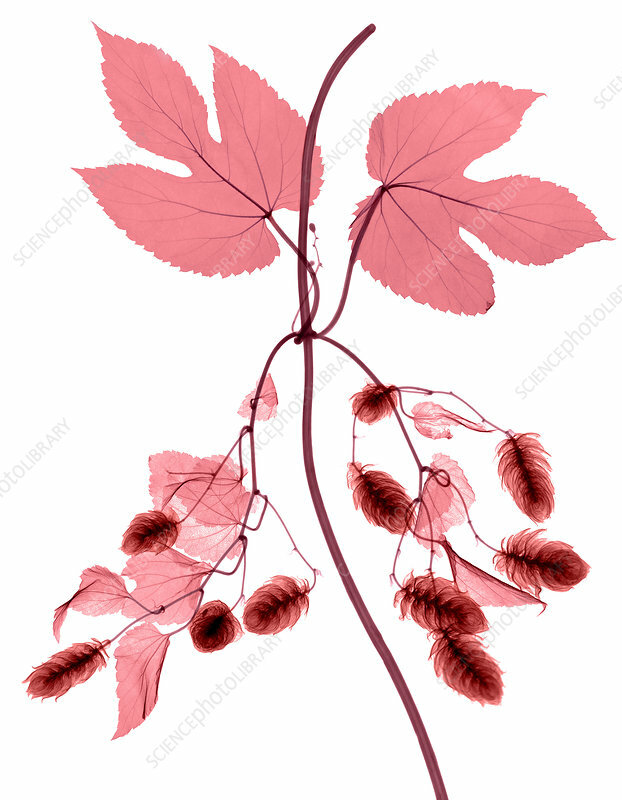 Colour-enhanced X-ray of Hop flowers on the vine (Humulus lupulus). This plant grows throughout Europe and the Americas. Hops is extensively cultivated for the production of beer. Preparations of its flowers are used in herbal medicine to aid digestion and to relieve fever.